Enjoy a HK$1000 off to order a three-piece suit for your 2018 wedding here! What are the alternatives to a traditional tuxedo? Your wedding day will be the moment where you have the most photos taken of you in your lifetime. Your every move, every blink, is recorded by multiple photographers off the stage, as well as the cameraman who record videos. These days, everyone is a professional photographer with their smartphone, including your relatives and friends! The wedding will be your lifetime’s worth of memory and you hope you can be in the best shape of your life. 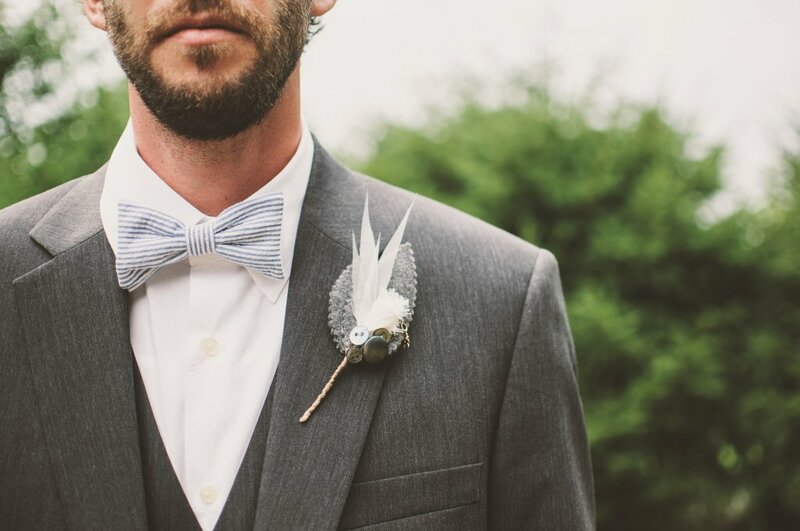 By renting a tuxedo for your wedding suit, it is highly likely that you’ll see yourself wearing an ill-fitting suit on your wedding photos for the rest of your life. However, purchasing one can be pretty expensive, especially considering the number of times you would be wearing it again. Afterall, you wouldn’t be wearing a tuxedo to work every day, I guess. Ever considered a simple Three-Piece Suit? For a wedding suit, a three-piece suit is formal enough to be one of the possible options. The waistcoat adds a layer of formality for the occasion, while not as formal as a tuxedo. After the wedding, you can keep the waistcoat in the wardrobe, and simply wear the jacket and trousers as a normal two-piece suit to work! HK$1,000 off for any 3-Piece Suit! “Magician Tailor” Jacky from British Tailors is partnering with Tailor-M to offer all 2018 grooms a huge discount for 3 Piece Suits! If you are getting married in 2018, you can now enjoy a HK$1,000 off for any three-piece suits that you purchase at British Tailors. All you need to do is to make an appointment with British Tailors here. A three-piece suit usually costs about HK$5,000 at British Tailors, but you can now get HK$1,000 off instantly! Nonetheless, if you prefer a proper wedding tuxedo, you will still enjoy a 10% off! How to redeem the promotional offer? Simply make an appointment with British Tailors through Tailor M here! Then you can redeem the offer right now! British Tailors is one of the highly rated tailors on Tailor-M, who have received plenty of positive reviews from TailorM clients. Very helpful. I myself do not have much experience in tailored suits. Jacky was very patient to explain every detail to me. He noticed a lot of stuff that I didn’t pay attention to. Like how the size of watch affects my shirt, pockets and other cutting improvements. I would recommend this place to everyone. It’s expensive, but it’s worth every penny you spent. Rest assured, he’s going to explain everything and he’s very good at what he does.